I started work at the Thames Barrier in April 2009. During much of my five-year spell with the Environment Agency, it's been relatively uneventful in terms of actual flooding. Indeed, for two winters, we didn't have any flood defence closures at all. It started on 5th December, when a very large tidal surge, on top of the already high spring tides, moved down the east coast of England. It was well forecast. I first saw hints of a significant event early on the Monday morning and, during the first half of the week, the forecast changed very little. The flood tide itself came through within a couple of centimetres of our forecast. The 4.10m tide recorded at Southend was the highest the Thames Barrier has protected against in more than 30 years of operations. The Thames Barrier closed both for this and the next tide on Friday. While it was a large tide, everything worked as it should have done, and all water downstream of the Barrier was contained with our network of flood defences. Then, of course, it started to rain. In the 66 days to 16th February (the last big storm), the River Thames catchment recorded 409mm of rainfall. That's 56% of annual rainfall falling in just over two months. The slow reacting nature of the River Thames meant that flows in the lower reaches of the river didn't peak until mid-February, when 507 cubic metres per second was recorded at our Kingston gauge. That's enough to fill an Olympic sized swimming pool in about five seconds. If these very high flows had met some of the incoming high tides, there was a very high risk of properties being flooded. 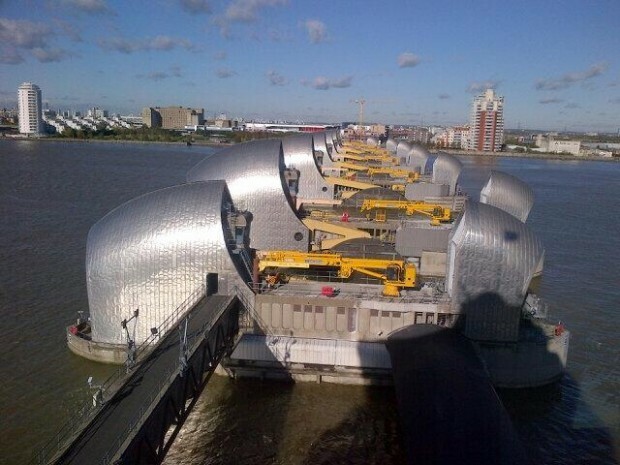 This is why between 2nd January and 5th March we closed the Thames Barrier on 48 occasions. This included closing on 13 consecutive tides in early January, and 20 consecutive tides in February. Our closure staffing arrangements meant I had 10 night shifts in a row - I was fairly happy when that run had finished! Holding back the tide on these occasions allowed the high river flows to continue unhindered into what was effectively a reservoir between Teddington Weir and the Thames Barrier. Although the River Thames is only tidal as far as Teddington Weir, the lower fluvial Thames can be affected by the tides as far upstream as Molesey. The Thames Barrier closed at midday on 1 February to protect people in the islands of Thames Ditton and Trowlock west of London. 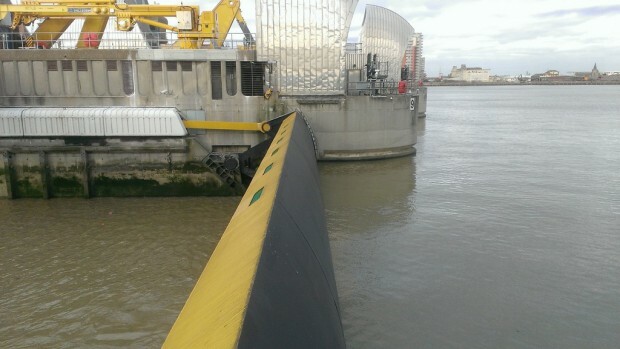 Although the Thames Barrier has had its busiest three months by far, it has stood up to the test exceptionally well. Very few faults were reported, thanks in most part to the high levels of maintenance we carry out on the structure on a daily basis. It's been a busy, yet in some ways rewarding past few months. As the face of the Thames Barrier on Twitter, it's been great to interact with so many people, who have asked a wide range of questions about what we do and why we do it.